By this trick you can send free sms to all operators for free. this trick is 100% working all over India. IF you are searching for free unlimited sms trick , then you are now at right place.Go forward. 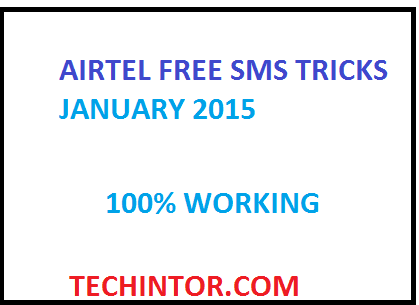 and enjoy free airtel sms trick . 12. Done. you will get 1111 free sms for just rs 10 now. This offer varies in some states. There are a lot much free sms offer available, you can see good sms offers on the step no. 4. You can select any other free sms offer from there and activate in this way. hope you got what i meant. i was able to send… but it doesn't work! how to i read other number incoming messages? Pls tell me Validity of 1111 sms?